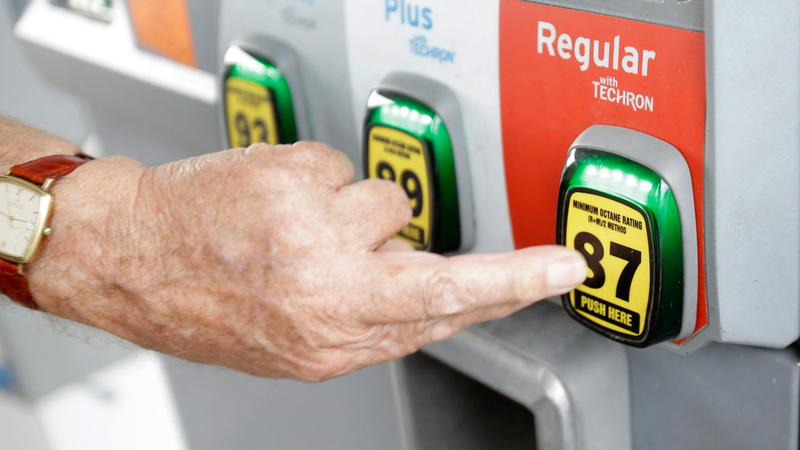 AURORA, Ill. (WLS) -- After rising at the beginning of January, pump prices are back on the decline in Illinois and northern Indiana heading into February. Illinois prices are averaging $2.28, a decrease from $2.48 a month ago but still up considerably from $1.69 a year ago. Indiana drivers are paying on average $2.07, down from $2.40 a month ago but still up from $1.63 a year ago. "Both Illinois and Indiana drivers saw large weekly declines in pump prices last week." said Beth Mosher, director of public affairs for AAA. "The low demand and abundant supply should help to continue to push prices even lower as we head into February." In Cook County, self-serve regular unleaded gasoline averaged $2.63, which was up $.09 from last month and $.53 higher than last year's price-per-gallon. In DuPage County, self-serve regular unleaded gasoline averaged $2.43 per gallon, which was a $.04 increase from December and up $.52 from last year. In Kane County, self-serve regular unleaded gasoline averaged $2.40 per gallon, which was up $.05 compared to last month and $.53 higher than last year's price. In McHenry County, self-serve regular unleaded gasoline averaged $2.40 per gallon, which was $.07 higher than last month's average and $.50 higher than last year. In Will County, self-serve regular unleaded gasoline averaged $2.36 per gallon, which was $.03 higher compared to last month and $.52 higher compared to last year. In Champaign County, self-serve regular unleaded gasoline averaged $2.35 per gallon, an increase of $.13 from December and $.70 higher than last year. In Winnebago County, self-serve regular unleaded gasoline averaged $2.36 per gallon, an increase of $.11 from December and $.54 higher than January 2016. In Lake County, Ind., self-serve regular unleaded gasoline averaged $2.24 per gallon, which was up $.06 from December's average and was a $.51 increase from a year ago. In Porter County, self-serve regular unleaded gasoline averaged $2.26 per gallon, which was $.04 higher than last month and $.51 higher than last year. Fuel prices are posted online at www.fuelgaugereport.com, which updates prices daily for unleaded, diesel and E85 blends of fuel.